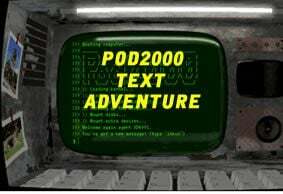 3.5/5 Pod2000 Text Adventure - explore the tiny planet with text-based commands. Audio headset recommended. Two tiny walking eggs need your help to wander safely through fireland. Use home row keys and upper row keys to use all features. 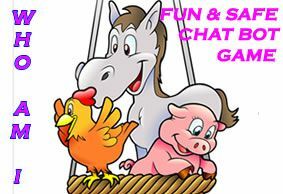 Game can be controlled by two players at once or one player can move both eggs at same time with two hands - its up to you! Some team work is needed between eggs - use the left hand keys ASDF QERG for controlling the 1st egg. The right hand keys UIO HJKL are necessary for controlling the 2nd egg. Features include moving around (keys S F E D move the 1st egg left+right+up+down) and keys A R G are used for jumping, lifting, shooting... You can hold down multiple keys at same time e.g. shoot up A+R, shoot down A+D. - Notice that its always a good idea to carry the red heart to the diamond gate in order to reach the next level. - If you are totally stuck, try to shoot some of these four-square blocks on top of you.